Super Yacht Wedding Charters | A Super Yacht Wedding! 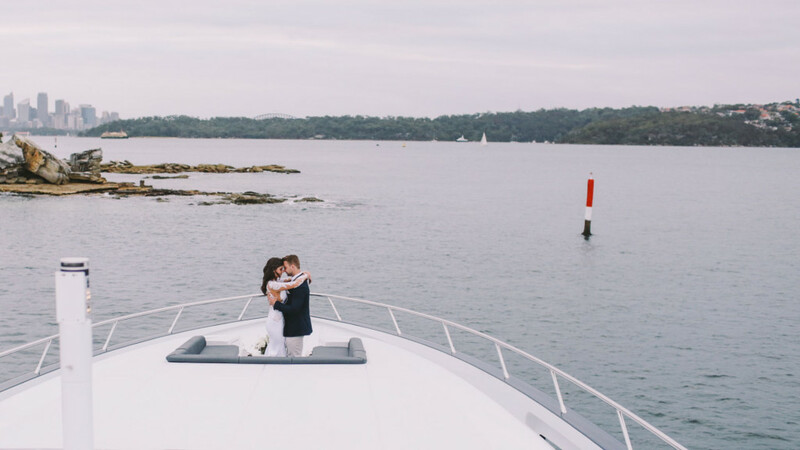 Sydney Harbour Luxe Charters specialises in stunning Superyacht Wedding Charters.Hire one of Sydney’s most high-end super yachts for the most important & memorable day of your life. Leave your guests in awe of your chosen venue with Sydney Harbour Luxe Charter’s superyachts! Super yacht wedding charters are perfect for a romantic setting and will ensure privacy and security for you and your guests. If you want to charter a superyacht for your wedding day or your honeymoon we can find a luxury vessels to make your special day extra special. Our Superyacht wedding charters are send to none.Our high-end superyachts can accommodate up to 80 guests and there is always the option of staying on board for your wedding night or extending the charter for your honeymoon. With most super yacht wedding charters accommodating up to 8 – 12 guests overnight, we can also tailor a package that will include your entire bridal party or family. A luxury super yacht wedding charter is perfect for the more intimate weddings. Why hire a venue on Sydney Harbour for your perfect wedding backdrop, for the same price we can offer you an ever-changing harbor as a backdrop that will leave your guests stunned. The experience of being on board a superyacht on Sydney Harbor is second to none and an experience that will never be forgotten. The skye the limit when it comes to your super yacht wedding charter, we can provide for any request you may have. All of our super yacht wedding charters are incredibly unique and are tailored entirely around what the bride and groom have in mind. When it comes to our super yacht wedding charters, your wish is our command. Personalize your superyacht wedding to reflect your style with the help of our talented and award winning chefs. With passion for food, our chefs will ensure your meals are nothing short of perfect. Choose from our extensive menus featuring the freshest seafood and best quality produce available.